Will I ever see them again! Perhaps I am a bad parent? Taking little ones to muddy fields full of thousands of people to live like refugees may not be the safest way to spend a long weekend. I have to admit to losing both our kids at festivals over the years. More than once actually. But I genuinely do believe that they are safe places and a big part of that safe feeling is created by the fabulous stewards. So when Oxfam asked me to tell you all about their ‘Oxfamily’ I was happy spread the word. The ‘Oxfamily’ is made up of lovely people who donate their time to help at events round the country like Glastonbury, Shambala and Bestival. One of these very stewards recently returned one our friends kids in the dead of the night at a festival. Their 7-year-old had got up and managed to wander our of their tent while they were sleeping. The steward found her some way from the tent near the toilets and calmly kept her safe and helped her find her way back. Thank you. 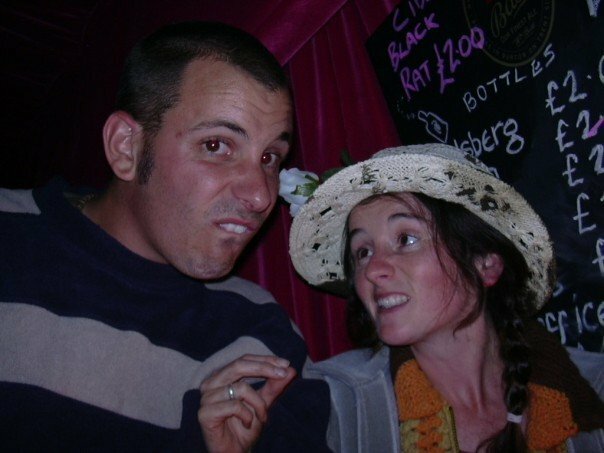 Our own experience of stewarding was at the Big Chill festival many moons ago before we had our kids. We were off travelling later that year so couldn’t afford tickets. Stewarding worked out as a great way of us to be there, and even though we had reservations, it turned out to be a great laugh. Unfortunately I ended up on the other side of the ‘Lost Child’ situation. Losing a child is terrifying, but finding one can be pretty scary too. Especially when you don’t have your own kids. I ended up with a strong willed 4-year-old by a lake who seemed intent on drowning himself. Luckily, the support that I had from the rest of the stewarding team helped me remain calm. Unfortunately I did end up with a screaming small tantrum to handle but eventually he was reunited with his family. Put me off kids for a few years though! But it’s not all about finding kids (or losing them). It’s about helping others. Keeping festivals safe and at the same time helping others around the world by donating time. Oxfam get paid by the festivals for providing stewards and last year raised over £1 million to help their vital work. Brilliant hey? I won’t hesitate to encourage my kids to join the Oxfamily when they are older if they still want to go to festivals. I think it’s an amazing way for teenagers to make friends and have fun in a safe team of people. 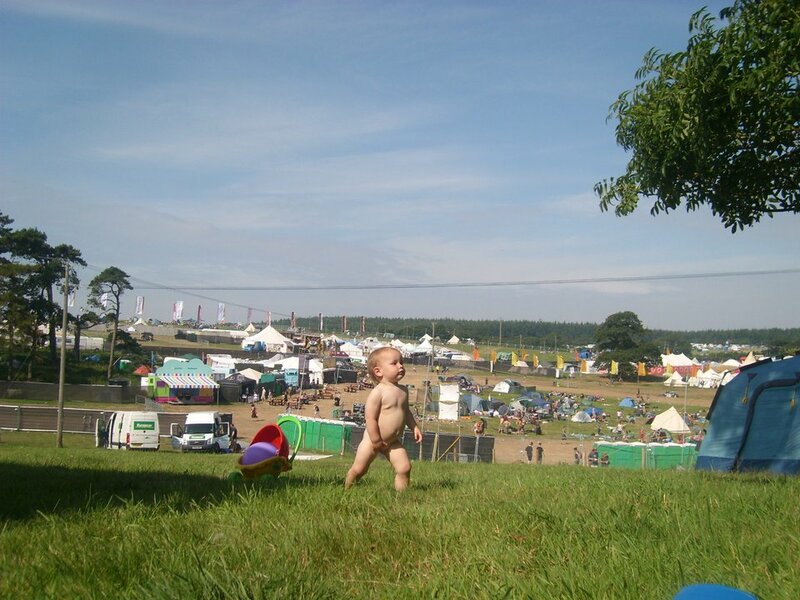 Click here to read my top tips for taking kids to festivals. I once lost one of mine at London Zoo – or more like she wasn’t listening and wandered off. We got a phone call from a cafe worker to tell me she’d turned up there. Bloody kids! Popping over from #countrykids to say hello. It’s a horrible feeling isn’t it? I got really told off at a country fair by the steward who ‘found’ my 4 year old. She was absolutely fine and not that far from us. Don’t think she was really even lost but they gave me a strict talk about keeping her ‘under control’! I’d be terrified if I lost my 3-year-old! So far it hasn’t happened yet (knocks on wood), especially since we’ve been thinking of attending the Camp Bestival maybe next year? #CountryKids. Go for it. Kids absolutely love Camp Bestival. It’s one gigantic playground and quite safe. Having six children Nick and I have experienced the horrid feeling of when one can go wandering off! Oxfamily sound wonderful and a very reassuring presence to have at festivals. Thanks for linking up and sharing their work with Country Kids. When the kids wonder off! !